Hemingways Resort - Watamu Marine Association. 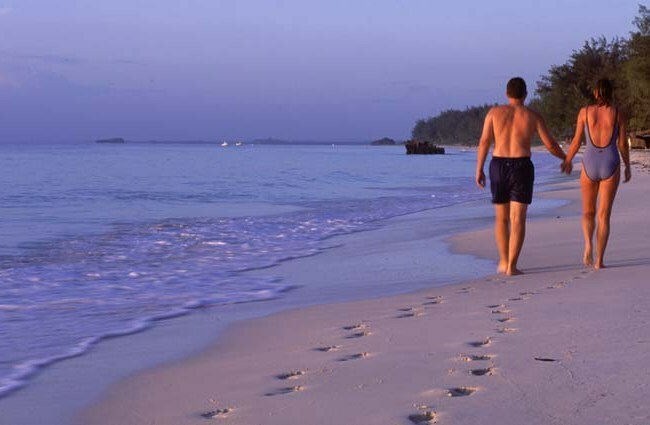 Welcome to the ultimate escape- An oasis of peace and calm, nestling on one of the world's top 10 beaches, for rest and relaxation few places on earth compare to Hemingways Watamu part of the Hemingways Collection. Feast your eyes - every one of the Hemingway's 76 beautifully appointed rooms offers delightful views of the Indian Ocean and the endless white sand beach of Watamu Marine Park. 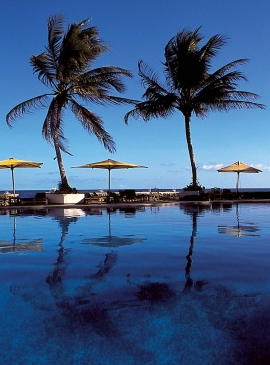 Throughout the day, a gentle sea breeze tames the hot equatorial sun, keeping the surrounding tropical, lush green landscape, palm tree-lined gardens, swimming pools and terraces constantly cool and comfortable. Since summer here runs from December through March, Hemingways is just the ideal destination to escape the European winter. Simple yet luxurious, this small, very personal hotel is a vision of white painted walls, traditional thatched roofs and cool tiled floors, with bright cotton linens, hand painted lamps and large, comfortable hand made furniture. The hospitality is equally perfect - friendly, helpful service in a relaxed and elegant atmosphere, where mobiles phones are silent and stress has no place. Hemingways has two accommodation wings, one each side of a characterful and handsome central block which houses the bar, restaurant, reception, shops and business centre. All of Hemingways' rooms are sea view, with air conditioning, fans and a private balcony or verandah to take in the picture-book panorama. Hemingways Executive Chef, Omar Menhouk, knows he has everything going for him - an ocean of bountiful seafood, caught daily by Hemingways' own fishing boats, plentiful organic meats and an abundance of wholesome, homegrown fruit and vegetables from the hotel's farms. Whether it's simple cooking or gourmet cuisine, Omar and his team add a full range of international and local influences to create imaginative menus which do full justice to the inspiring local ingredients. The main restaurant serves breakfast, lunch and dinners with both the pool bar and the main bar offering snacks and lunches most of the day. In the summer season, dinner is served outside on the terrace under the stars and, for those with a special anniversary to enjoy, private celebratory meals can be served in the gardens. 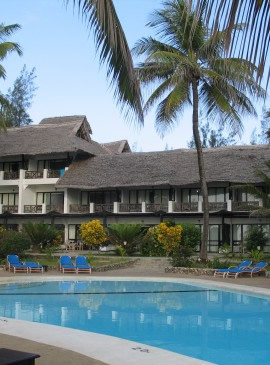 The hotel is a 20 minutes drive from Malindi Airport and a 2 hour drive from Mombasa Airport. There are direct flights to Nairobi with connecting flights to Malindi and Mombasa from most European countries. Kenya Airways is the national carrier.